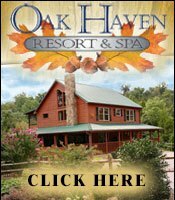 One of the best ways to save when you visit the Smoky Mountains is to take advantage of our vacation packages​! We offer a variety of vacation packages that bundle tickets to some of your favorite attractions and help you save on the overall cost. Not only can you book packages that include tickets to multiple attractions, but you can book packages with tickets to a popular attraction and a stay in your choice of hotel! Attractions that are included in some of our packages are the Titanic Museum in Pigeon forge, Hatfield & McCoy Dinner Feud, Ripley&apos;s Aquarium of the Smokies, WonderWorks and more. For the ultimate adventure, purchase our package that includes tickets to Dollywood, Dolly Parton&apos;s Stampede, and a stay in your choice of hotel. In addition to vacation packages, you can save money with Smoky Mountain coupons! You can request a free coupon book​, courtesy of Smoky Mountain Navigator. The coupon book includes money-saving offers on everything from attractions, to shopping, to entertainment, to lodging! We also have ​free downloadable coupons​ for Pigeon Forge, Gatlinburg and Sevierville from Smoky Mountain Navigator. We know that every little bit you save counts, which are why these coupons are a great way to make your vacation more affordable. Take advantage of discounts on all the Ripley&apos;s attractions, The Incredible Christmas Place, The Island, Flapjack&apos;s Pancake Cabin, Alamo Steakhouse and more! 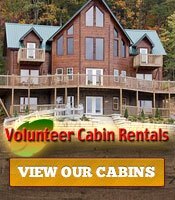 Another great way to save is by enjoying all the free things to do in the Smoky Mountains! Did you know that the ​Great Smoky Mountains National Park​ is one of the few national parks that doesn&apos;t have an entrance fee? That means you can explore more than 800 miles of hiking trails, go fishing, and take in all the gorgeous views without spending a dime! It&apos;s also free to enter The Island in Pigeon Forge​, which is your one stop for affordable fun. One of the most popular things to do for free while you&apos;re there is watch The Island Show Fountains, which put on an incredible performance of water dance and light, perfectly choreographed to 14 pieces of music. For a small fee, ride the ​Great Smoky Mountain Wheel at The Island ​and admire views of the Smoky Mountains from as high as 200 feet in the air! There are also a number of cheap things to do in the area, like browse the ​Salt & Pepper Shaker Museum​ in Gatlinburg or visit the Gatlinburg Arts & Crafts Community​! 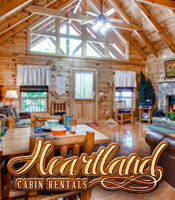 When you visit, you&apos;re going to need a place to stay, and you can never go wrong with a Smoky Mountain cabin! 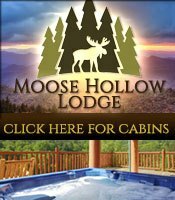 Take a look at where you can find the ​best cabins in the Smoky Mountains​ and start planning your budget-friendly vacation.